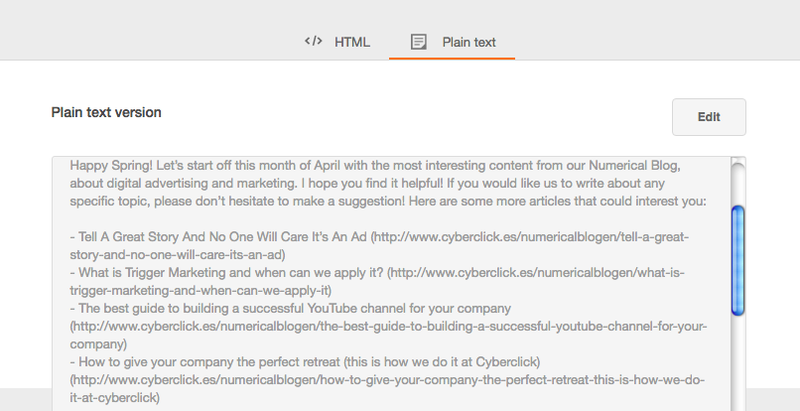 Email marketing templates: tips for a responsive design. The digital marketing world is in constant evolution. 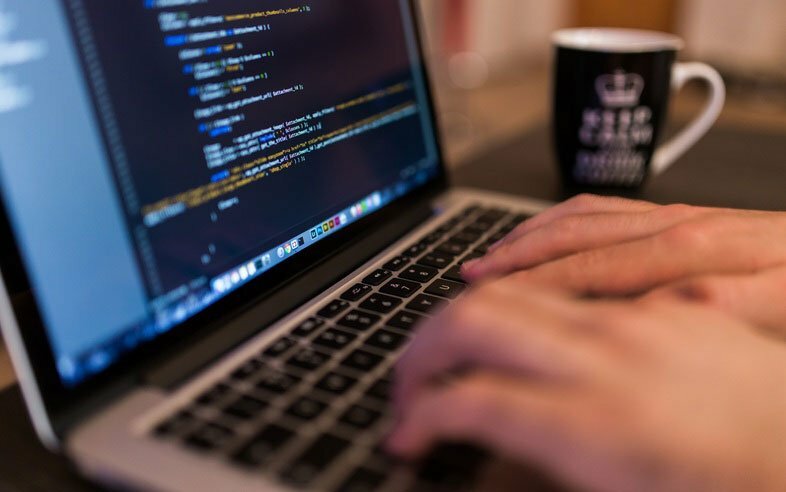 As more and more technologies and opportunities arise, it is very easy to fal into the temptation of following the latest trend and leaving somewhat “older” tools behind… but in the case of email marketing, this would be a big mistake. In the era of mobile devices email marketing is even more alive than ever before, which is why I would like to explain to you today how to adapt your email marketing templates to ensure they have a responsive design. Responsive design consists in using a series of techniques to ensure the optimal visualization of the content across different platforms and devices, changing aspects such as the size of the typography, the layout and the images. According to McKinsey & Company’s latest data, emails are 40 times more effective in attracting new clients, in comparison to social networks such as Twitter and Facebook. It is calculated that by the end of 2016 there will be 4,300 million email accounts worldwide. 47% of emails sent to mobile devices are designed for desktop, making them difficult to read. Faced with this reality, 80% of mobile users simply hit the delete button and forget about them. Market studies show that users look at their mobile phones at least 150 times a day! Meaning that email marketing, when done well, can be extremely effective. Free email marketing templates may save time and money, but have one significant drawback: by using them, your brand loses its unique identity, that what makes you different and stand out from the crowd and competition. Avoid using templates with borders. It creates quite an unpleasant visual impression and makes it look like you don’t really know what you’re doing. Be especially careful with content that passes over the borders, as it is difficult to read and can be quite distracting. Be strategic with your use of Choose a color palate that reflects your brand and stick with it throughout all of your communications. Use colors to highlight titles and subtitles. Use ALT Tags in your images. An ALT tag is a small text that is attached to an image and describes its content. If, for some reason, the image in unable to load, the user will be shown the text instead. 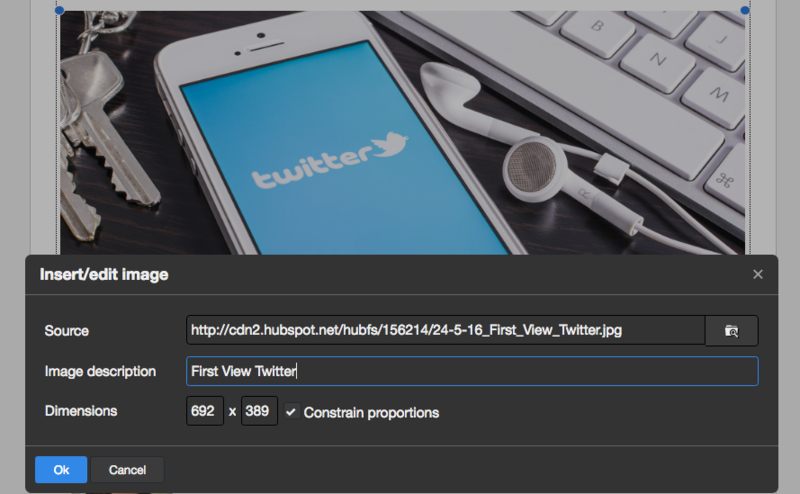 Add HTML titles to your links and images. This can help avoid your emails landing in the Junk Box or Spam filter. Be sure to review your content without the images. Before sending out your email, double check what it will look like for users who are unable to view the images for whatever reason. Make sure they will still be able to receive all important content and that your brand is clearly identifiable. Check your ideal text to image ratio. Images are important to attract attention, but a high text ratio will protect you against antispam filters. The ideal is to have around 70% text and 30% imagery. You can use GIFs or striking photos to make your content standout. Be consistent in both your design and format. By all means, make adjustments and run tests… but don’t experiment too much with your brand’s identity. Try to keep your colors and layouts consistent in all of your emails so that your users recognize you easily. Use standard typography. It is easy to give in to the temptation of somewhat more flamboyant fonts, but it will serve you no use if it is then not visible on other devices. To avoid this problem, stick to more standard font types like Arial, Times, Courier, Verdana and Georgia. Always include your contact information in a well visible location. If your client need to get in touch with you, make it easy for them! Email marketing is a great opportunity to reach out to your clients and get high quality leads. 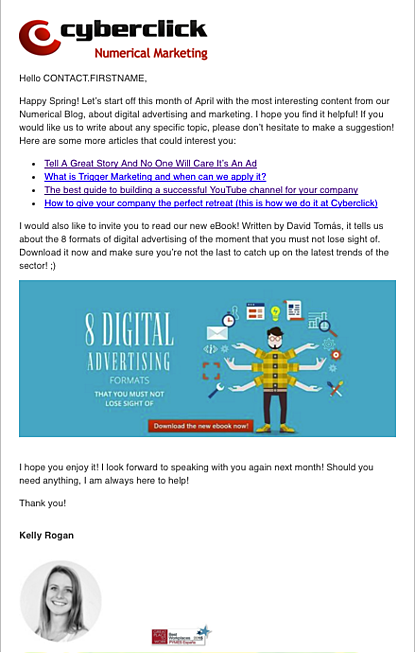 With these tips I am sure you will have created an optimized design for your email marketing templates. To get even better results, focus on making the most of the synergy between format and content and check out when the best moments are to launch your email marketing campaigns. 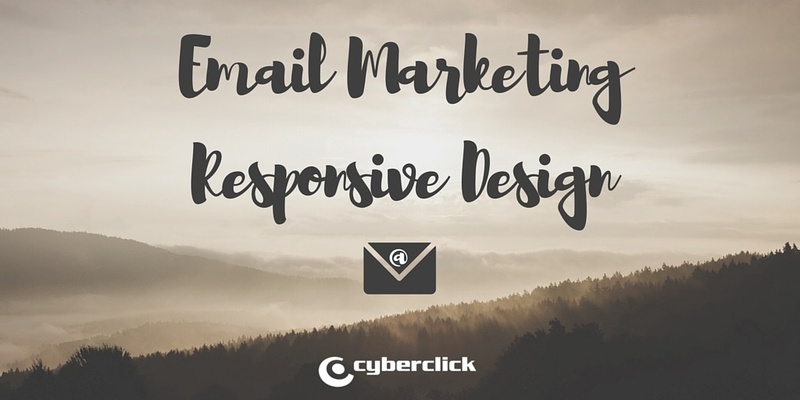 Email marketing templates with responsive design are absolutely essential in an age where anything that is not optimized for mobile devices is doomed form the starts. Good luck!